I‘m always on the lookout for really easy recipes that my sons can make (there’s not always enough time for baking). 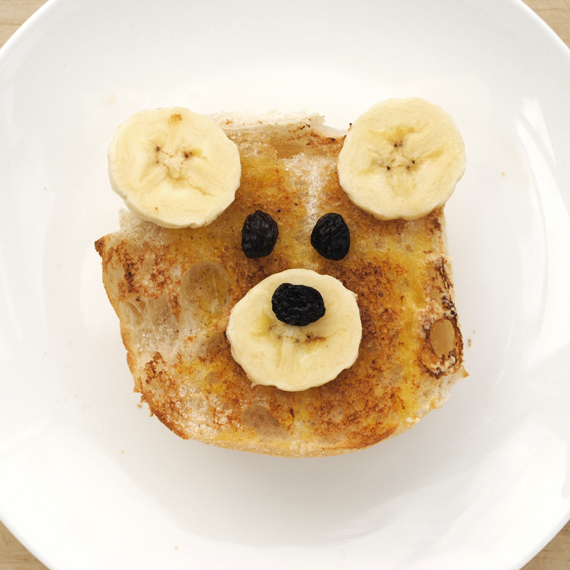 I saw this super-cute teddy bear toast idea here and had to try. All you need to make this sweet breakfast is toast, banana, raisins, butter/margarine, cinnamon and sugar*. 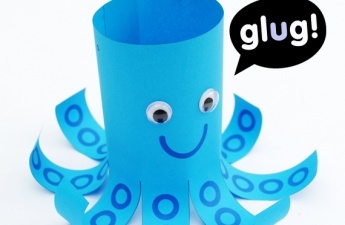 Check out the full recipe at kidssoup.com. *For the sugar/cinnamon sprinkle we just mixed a teaspoon of caster sugar with a pinch of cinnamon. Yum! 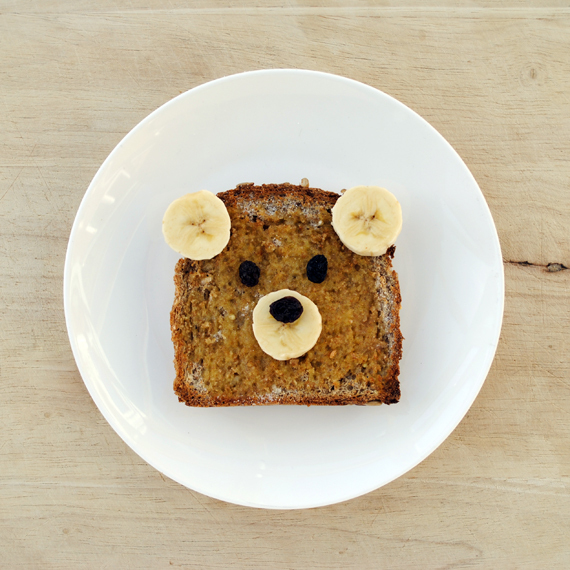 This is the cutest breakfast I’ve ever seen! Thanks Michelle. It really does taste good too…cinnamon-sugar + hot buttered toast = delicious! easy. simple. just the way i like it. thanks. Reminds me of the “Hunny Bunnies” my Mom made for my brothers and me when we were small. 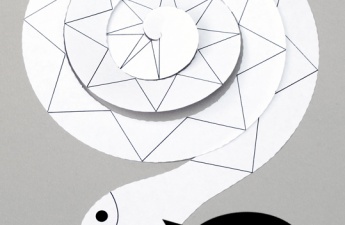 She cut out circles of sandwiches with a donut cutter The small circles became the ears. Faces were made of maraschino cherries, raisins, even slices of pimento stuffed olives. We had to eat the cut-away crusts before we could eat the bunny. Sounds really cute Jim….your Mum sounds lovely! 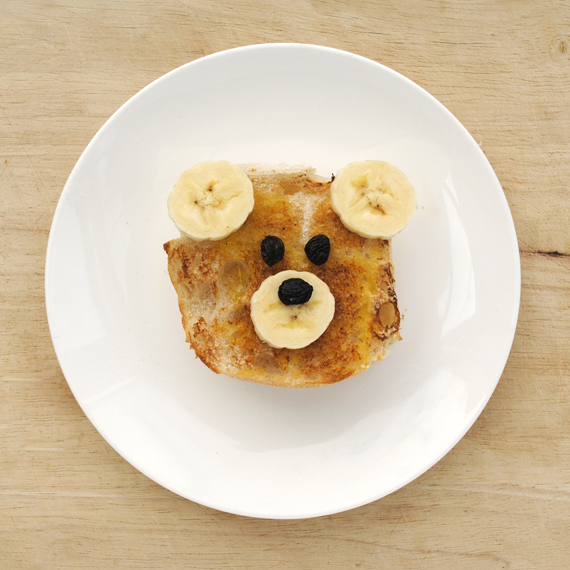 My Mum used to make me sugar sandwiches and I thought they were the bees knees…yum! Love that! Perfect for my picky three-year-old with a sweet tooth! Oh and he loves toast, sugar and banana. Thank you! This is SO cute. Thanks for sharing this, I’m so doing this tomorrow! I love this toast so much. I just wanted to let you know that I’ve posted a link to you and this today! Thank you for your ever steady paired down design! I can count on your site. “Unbearably” cute! 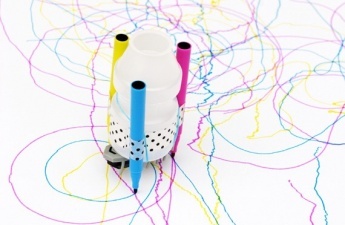 This looks fab, I will do it for my 2 years old, thanks for sharing, I send your website to many of my friends. This is so cute, what a lovely idea! 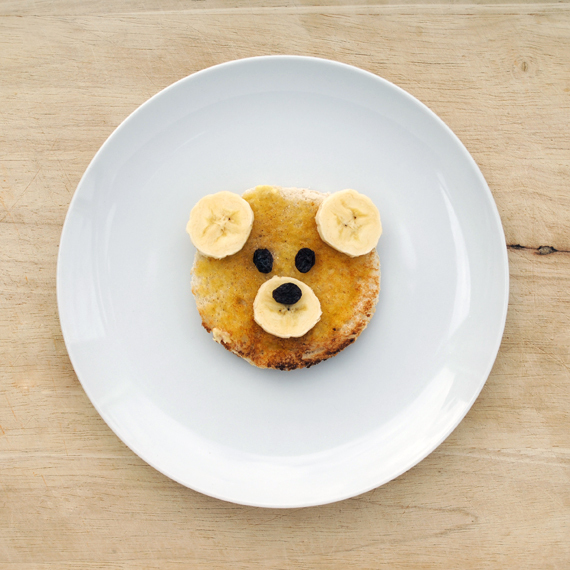 I can’t do much more except echo the previous comments in saying this is so cute… almost too cute to eat! Kids must love this a lot. What an extremely cute breakfast idea. I am hosting a Teddy Bears in the Park Picnic with some friends and their little bubbies and may create little teddy bear muffins etc based on this idea. Thanks for sharing!